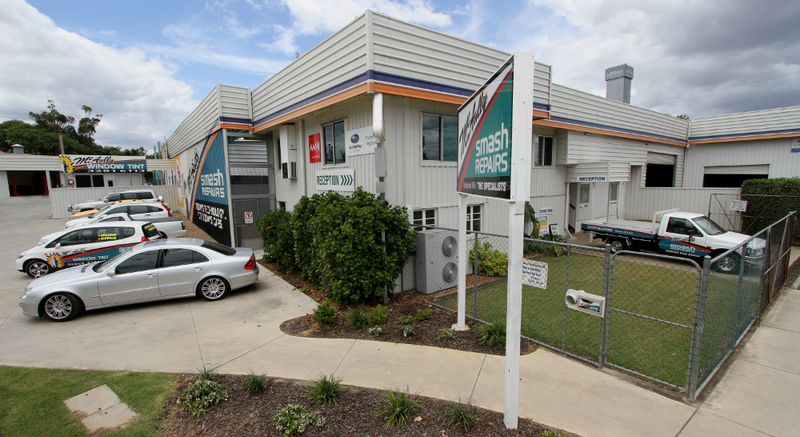 The McAully Group’s award winning smash repair business was originally commenced by the current Managing Director’s late father, Mr John McAully in 1959 on the current site at 2 Cemetery Road Ipswich. Under the guidance of Mr John McAully the business grew and became synonymous with Quality Smash Repairs in Ipswich. In 1970 John’s son, Graham McAully, joined the firm and commenced his painting apprenticeship, gaining honours throughout the four year term. 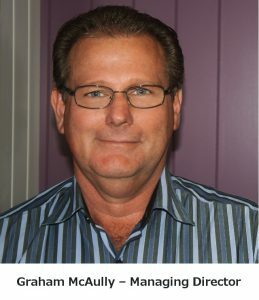 Graham took over the management role of the workshop in 1978 and since 1982 has been the Managing Director of the McAully Group Pty Ltd. Since commencement of the business McAully’s has built a reputation for quality workmanship at competitive prices combined with exceptional customer service. Our reputation has been acknowledged by many insurance companies, therefore resulting in our workshop being awarded “Recommended/Selected/Approved Repairer” status. The McAully Group currently employs 28 staff and also operates an Automotive Protection division called McAully Window Tint. Our workshops are environmentally friendly and use the latest innovative technologies. Not only do we employ qualified and dedicated staff, we also follow strict procedures to ensure our customer’s are happy with our workmanship on every occasion. Our offices have recently been fully refurbished and now feature state of the art facilities with ducted air conditioning, modern décor and a pleasantly appointed customer lounge. This provides our valuable customers with first class facilities should they need to wait for any reason. The McAully Group businesses pride themselves on delivering excellent customer service on all occasions whether by telephone or in person. Our professional, efficient and friendly office staff will handle all requests and inquiries with the highest priority. Following a vehicle repair, our customer’s are sent a Feedback Form where they are asked to evaluate their experience in dealing with McAully’s during the repair process. This will include their evaluation of the Repair, Finish and Customer Service. This feedback invites the customer to provide us with any additional information where they feel we may improve their overall experience of being a McAully Valued Customer. We take these forms very seriously and once processed they are circulated to all staff. The McAully Group’s Managing Director and staff are always striving to achieve excellence wherever possible and to have our customers 100% happy 100% of the time. We aim to maintain our position at the forefront of our industry through our innovation, our people and you, our customer, so you can continue to share in our exceptionally high standards.